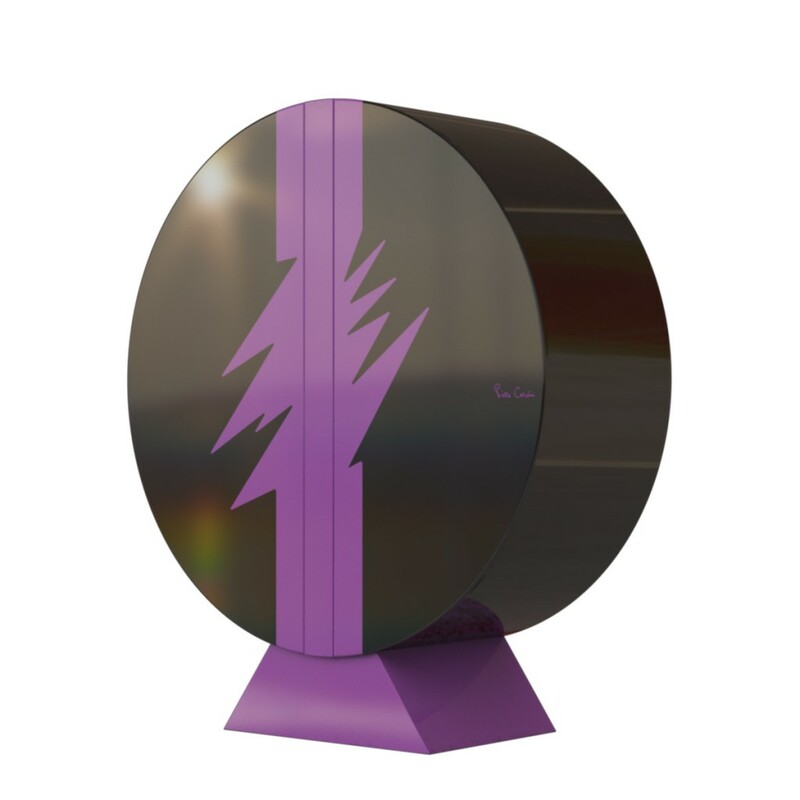 This distinctive cabinet with centre hinges that open the doors in a butterfly fashion owes its uniqueness to the central design produced during the lacquering stage – a stylized lightning bolt, a motif that Pierre Cardin is reinterpreting thirty years later with numerous vinyl decorations on clothing and accessories. The interior surfaces, including the interior of the drawers, are in elegant cherry wood. Upon request, the central hinges can be replaced with side hinges that open towards the exterior if required. The interior compartments are lit by coloured diffuse LED lights. See the full cabinet series gallery.